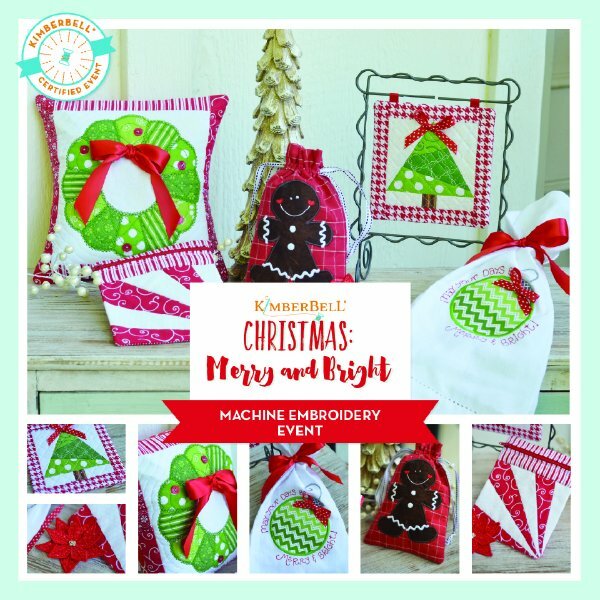 Get festive and celebrate machine embroidery addiction! Enjoy six exclusive projects to deck your halls or gift for others to create in just two days. Create a quilted wreath pillow, gingerbread cinch sack, a fully-lined peppermint twist zipper pouch, and a few other projects. Cue the holiday playlist, Improve your embroidery skills, learn new techniques, and brighten your holiday with Kimberbell. Only 12 seats available at this event. Regularly Priced $249...only $149 in honor of our Grand Opening weekend! !